The School of Professional Home Inspection (SOPHI) was founded by local experienced Home Inspection experts, with a proven track record in this competitive and exciting field. Here at SOPHI, your success is our priority. 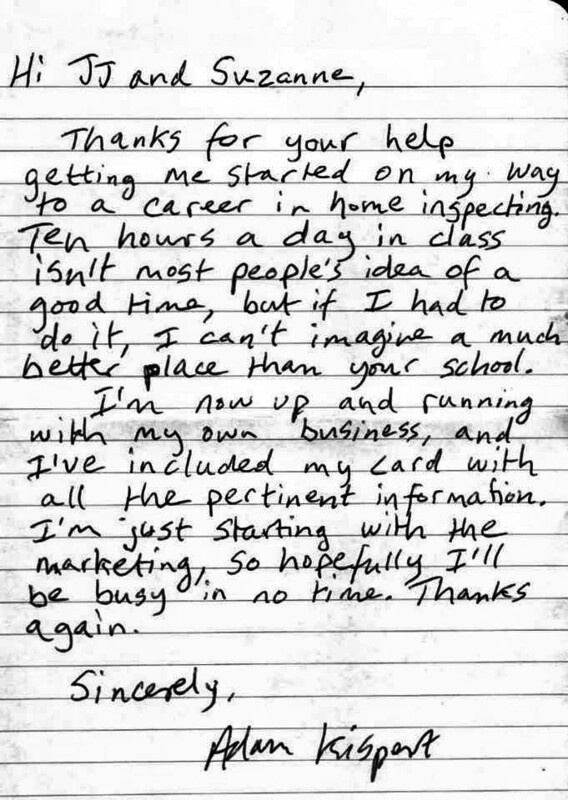 Classes are led by active Home Inspection professionals that understand what it takes to build a profitable business. We prepare you for success in this lucrative marketplace. 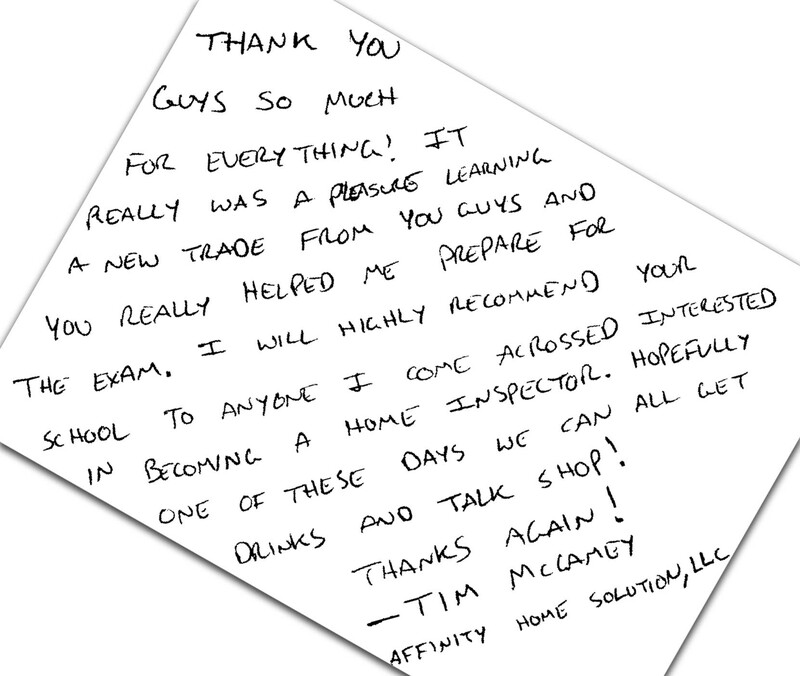 Offering the support you need to get your Home Inspection business up and running as soon as possible. Suzanne Greive is a co-author of our Home Inspection Fundamentals Curriculum, her background offers students a unique perspective in the field. She has 10 years of valuable commercial Real Estate experience support. 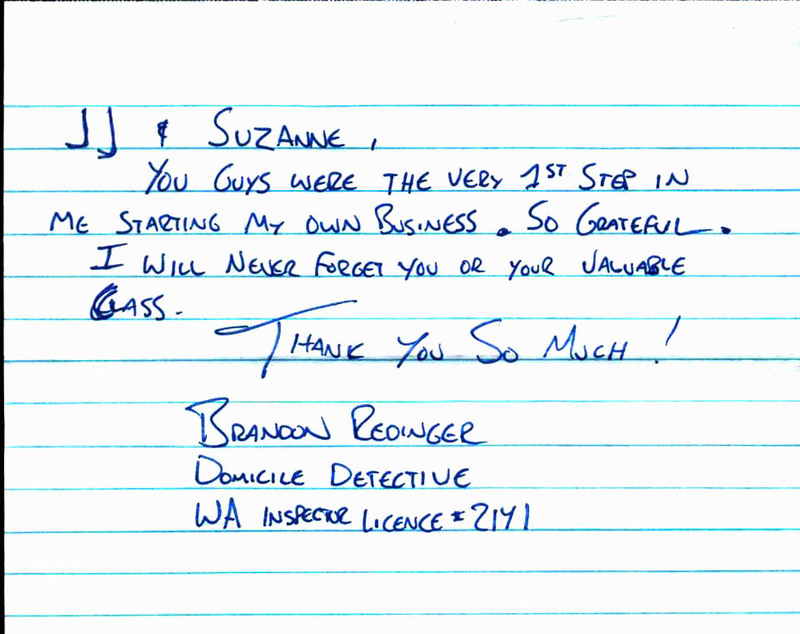 JJ Greive is a Washington State Licensed Home Inspector and thoroughly enjoys teaching this trade. His experience, backed by 25 years in Construction, has helped him complete thousands of Home Inspections. Knowledge gained by actually building and installing the systems in a home is invaluable. He is eager to show you what you need to know to get your business off the ground. One of the super cool buildings we look at on our walkabouts. What kind of siding is it? ?